It is being reported that, the madness of Ghanaian rapper-Kwaw Kesse went off the roof this morning at TV3 studios. Kwaw had a showdown this morning after the TV station’s management failed to come to an agreement with him over his appearance on their ‘Sunrise’ morning show, when he insisted on making the appearance with his two newly signed artistes. Exclusive information reaching Peacefmonline.com indicate that Rapper Kwaw Kesse aka Abodam had a showdown this morning at TV3 and he as a result walked off a program he was scheduled to appear on as guest on Wednesday morning April 3, 2013. According to Peacefmonline.com investigation, Kwaw Kese had made prior arrangement with the Directors and Producers of TV3’s breakfast show “Sunrise” and both parties agreed that Kwaw would appear on the show this morning with two other artistes Bra Kweku and Buda who is also his younger brother under his Madtime Entertainment label. A source told Peacefmonline.com that Kwaw and his artistes got to TV3 studios as early as 7am this morning only to be told that he can’t appear on the show with the other two artistes and that he would only be allowed to appear on TV with one of the two new artistes or just him. 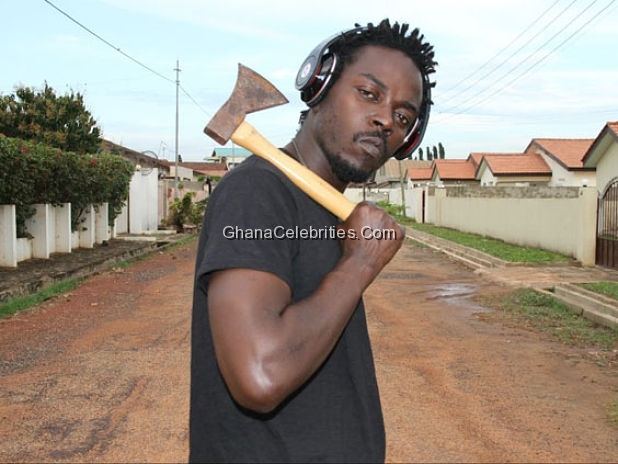 Kwaw Kese got infuriated because the Production team wouldn’t allow him to go on air with his artistes and reportedly walked out of the set angrily, called his artistes to come along and he never returned to appear on the show. Meanwhile speaking to Mr. Gabriel Bosompim, Production Manager for Content Creation Group (Entertainment and Magazine Department of TV3), he confirmed the incident Peacefmonline.com adding that he was very surprised how events unfolded this morning. However, Mr. Bosompim emphasized that Kwaw Kese is a great performer, a crowd puller at any given time and a very close friend to TV3 so he does not really have anything against him for his behavior this morning. He rather blamed his management or whoever made the prior arrangement for not given the production team prior information that Kwaw Kese would appear on the show with two other artistes. According to Mr. Bosompim nobody mentioned at the pre-production meeting that Kwaw would come with other two people and that the only information they had was that he (Kwaw) was coming to talk about his upcoming album, his new videos and to premiere the video for his new single “Kalabuley”. He also stated that in a letter sent to Production team which outlined the number of things Kwaw Kese was going to talk about in the interview did not mentioned that he would come with any other person. According him the names of the two artistes were only mentioned in a line of the letter that reads: “His record label is also signed on 2 new promising artists namely Bra. Kweku and Buda”, which does not mean he was coming along with them. He said they didn’t have any information about the two new artistes and they didn’t even know what kind of questions to ask them aside the fact that they were a crowd. According Mr. Bosompim even though it was not part of their plans they tried to put all three of them on TV “But watching from the control room, the three of them were looking over crowded on screen in addition to the host. So we agreed that Kwaw can only go on air with only one other person but he decided to walk out”. Meanwhile Akusua Danquah who made the prior arrangement with TV3 on behalf of Kwaw Kese said she dealt directly with the Director of the program Kwame Adom who was very much aware that Kwaw Kese would come with two other artistes. She added that Kwaw Kese’s Management and TV3 are already in talks to settle the misunderstanding and TV3 has agreed to reschedule Kwaw Kese’s interview for Saturday April 6, 2013 on the same program.